Home » Govt Jobs » Govt Jobs 2015 » Jobs for Project Fellow Zoology » Jobs In Thiruvananthapuram » Jobs in University of Kerala. 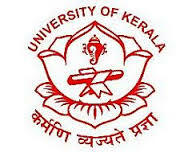 » Project Fellow Zoology jobs in University of Kerala in Thiruvananthapuram. Project Fellow Zoology jobs in University of Kerala in Thiruvananthapuram. Desirable : Net qualification or Research experience in Physiology. Candidates are advised to submit their CV, copies of M.Sc certificate and testimonials to the Coordinator UGC-SAP-II (DRS), Department of Zoology, University of Kerala, Thiruvananthapuram 695 581 on or before 7th September 2015. Labels: Govt Jobs , Govt Jobs 2015 , Jobs for Project Fellow Zoology , Jobs In Thiruvananthapuram , Jobs in University of Kerala.